There are plenty of Dublin day trips to choose from. However, many day trips from Dublin are on the well-established tourist track. Places like Glendalough, Trim Castle and the Boyne Valley and Newgrange are well tred by tourists. If you are looking for a non-touristy Dublin day trip, I invite you to consider Rogerstown Estuary and Ardgillan Castle; the perfect combination of outdoorsy adventure and a taste of upscale Irish manor living. SIDEWALK SAFARI SPOTLIGHT: It is also well-worth spending some time in Dublin itself. Check out our huge list of one day Dublin City itineraries to keep you busy. GoCar is the perfect alternative to renting a car in Dublin. We've taken GoCar to County Wicklow for the day in the past. GoCar's carshare service normally charges by the hour with a component of distance. GoCar's GoFar plan allows you to reserve a GoCar for more than 6 hours and avail of a 0.10 EUR per km rate. Be aware that only a single driver can hire a GoCar so it won't be possible to share driving duties with a partner. You can find lots of little known nature areas within an hour's drive of Dublin. How far is Rogerstown Estuary from Dublin? Dublin to Rogerstown Estuary takes about 45 minutes by car. Rogerstown Estuary is an ideal non-touristy Dublin day trip destination for a hike and a bit of birdwatching. You can find up to date details on how to get there, opening hours, and parking coordinates on the Rogerstown Estuary Facebook Page. We visited Rogerstown Estuary on a cold November day. After our hike from the Turvey Parklands car park, we welcomed the opportunity to warm up at Turvey Hide. Local volunteers sporadically staff the hide and spend their days observing birds of prey like osprey and peregrine falcons and plenty of resident and migratory wildfowl like redshanks. Return to your GoCar and drive across the mouth of Rogerstown Estuary to Baleally Lane. The BirdWatch Ireland Reserve at Baleally Lane is a little difficult to spot. Look for a long muddy driveway with just a couple parking spots in front of a gate boasting a BirdWatch Ireland sign. Walk across the pasture to a gate leading to a trail marked by a rough fence. Keep an eye out for stonechats and other birds flitting about. Be careful about the timing of your visit to the North Hide since the hide can be cut off by water at high tide. You may also find avid volunteers observing the resident birds in the North Hide. Often they'll have their scope trained on something interesting like a bird of prey. Stay for a chat and you might spot a curlew flying over Rogerstown Estuary like we did. Now that we've gotten some exercise, it's time to spend the afternoon at the magnificently situated Ardgillan Castle. Ardgillan Castle is just 30 minutes onward drive to the north of Rogerstown Estuary and is a perfect stop to add to a non-touristy Dublin day trip. Ardgillan Castle and Demesne sits dramatically on the Irish Sea and offers spectacular photo opportunities. The expansive and well-manicured Ardgillan Demesne surrounds the big house and offers ample opportunity to stretch your legs. Sit on the grass and listen to the wind whistle across the land and hear the waves crash below. You may even hear trains passing by along the coast. Owned by the Taylor family for over two centuries, in exchange for rights for the train to pass over their land, the Taylors in turn could hail any passing train and ride for free. What a life! Guided tours of Ardgillan Castle are available and take about an hour. 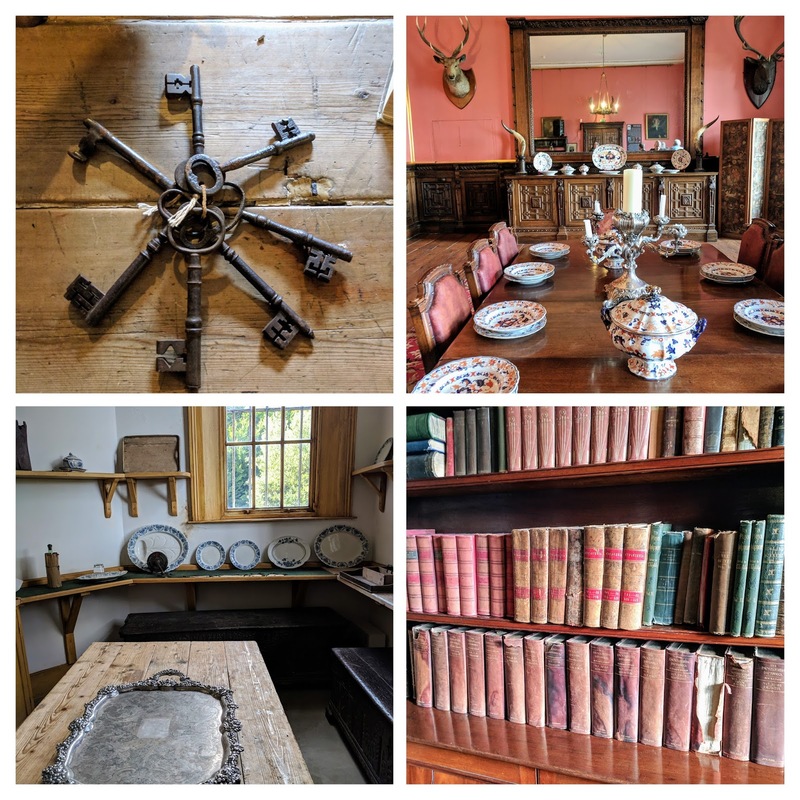 The original furnishings were sold with the house in 1962 when many artistocratic families could no longer afford the upkeep of such grand houses. Ardgillan Castle is decorated with period furnishings and some cheeky items of flair such as a large stuffed bear wearing a top hat. 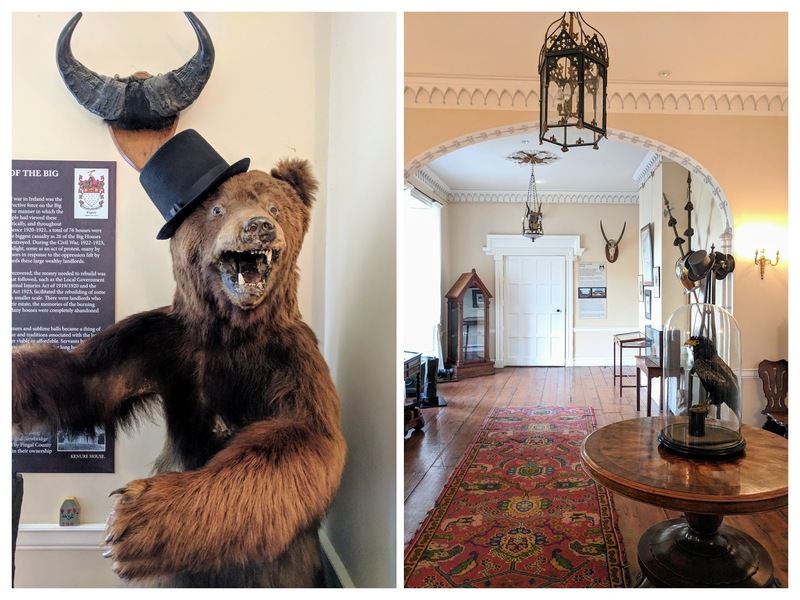 Explore both above and below stairs and learn more about the history of the residence. The tour of Ardgillan Castle cost 6.50 EUR for an adult at the time of writing. 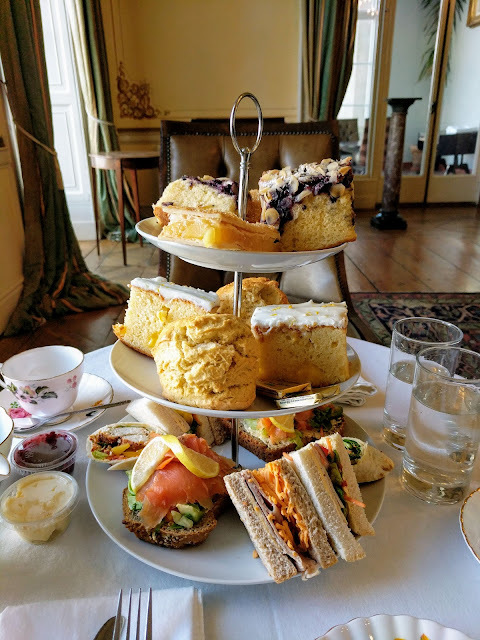 Afternoon tea is available in the elegant drawing room at Ardgillan Castle on the last Saturday and Sunday of the month. We were extremely lucky and were the only one who had booked in on a Sunday afternoon despite the fact that the casual tea rooms were filled to capacity with visiting families enjoying free access to the Ardgillan Castle grounds. 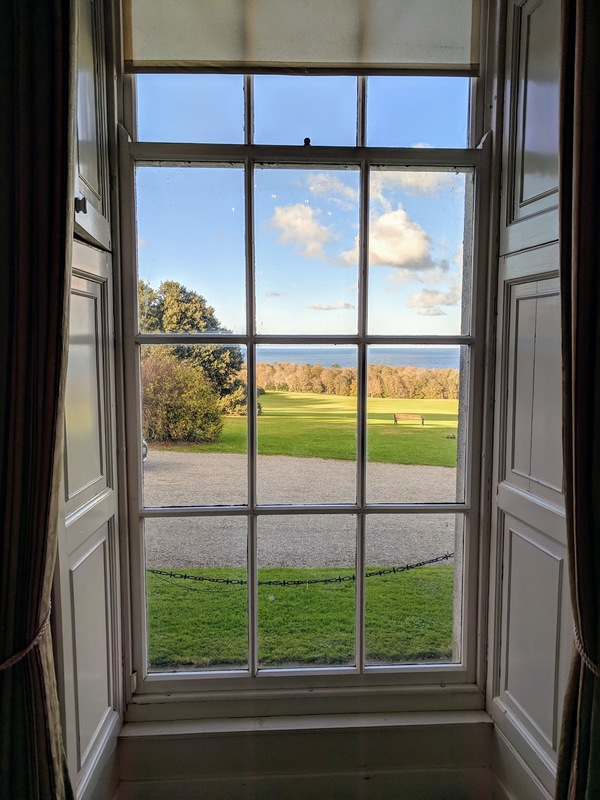 After our guided tour of Ardgillan Castle, we were led into the drawing room and seated in plush chairs near a tall window overlooking the sea. A three-tiered tray of savories and sweets was placed in front of us. Smoked salmon, ham and cheese, scones, and a variety of fresh-baked cakes filled us right up. 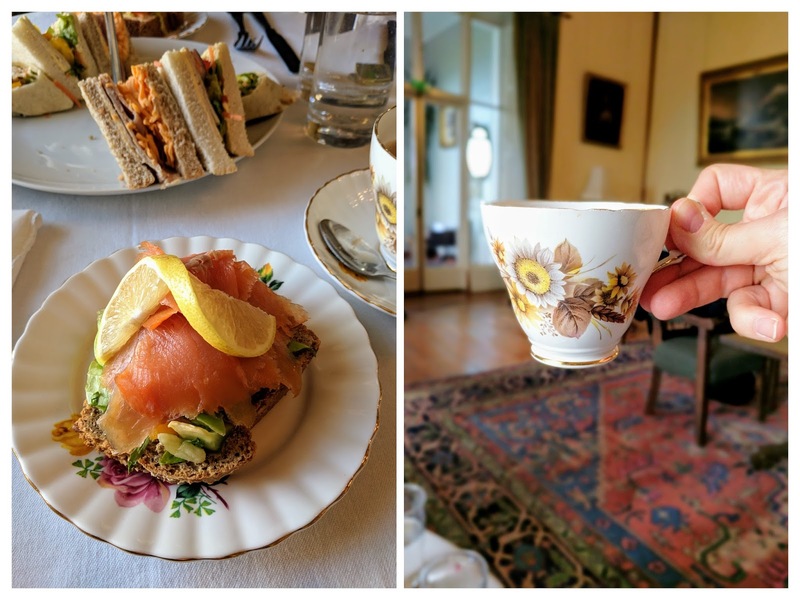 Our tea was served in delicate albeit mismatched china. 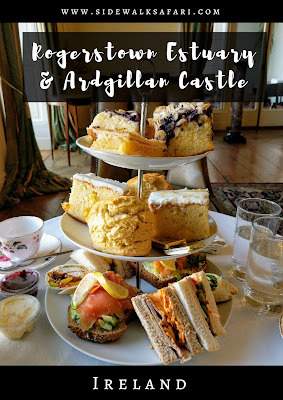 Ardgillan Castle afternoon tea cost 25 EUR per person at the time of writing and no children are allowed. After the leisurely Ardgillan Castle afternoon tea service, we walked off all the decadent treats in the Ardgillan Castle rose garden. We visited in late Fall but there were still a number of flowers in bloom. I can just imagine how radiant and fragrant the Ardgillan Castle rose garden is in spring and summer. No Irish manor home is complete without a walled garden. 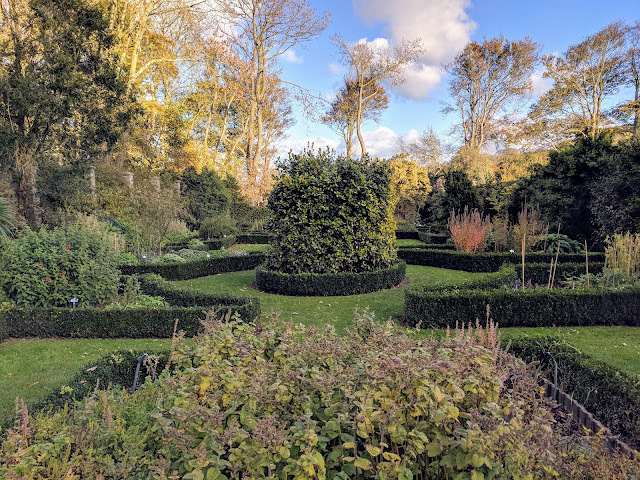 We took some time to explore the Ardgillan Castle walled garden which featured well-coiffed hedges and flower beds. One of the most enchanting features of the Ardgillan Castle grounds is the Ardgillan Castle Fairy Tree Trail. 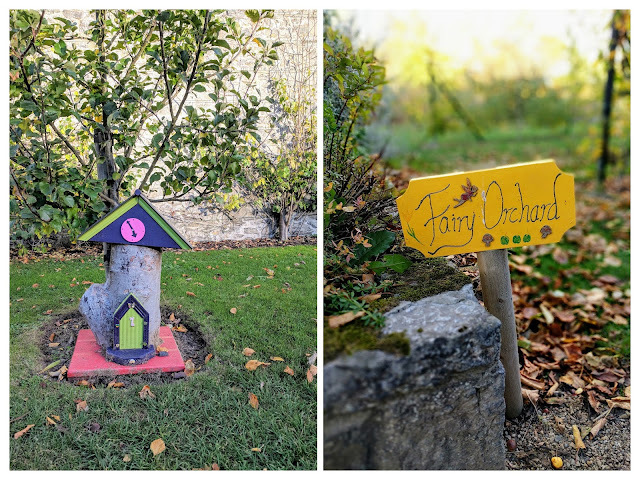 Check out the forested area at the border between the Ardgillan demesne and formal gardens and discover tiny houses reputed to homes of resident fairies. What better way to capture the imagination on a non-touristy day trip from Dublin! As you can see, the area north of Dublin is full of non-touristy gems just waiting to be explored. What better way to do it than with GoFar by GoCar? Visit Ardgillan Castle and Rogerstown Estuary on a non-touristy day trip from Dublin. 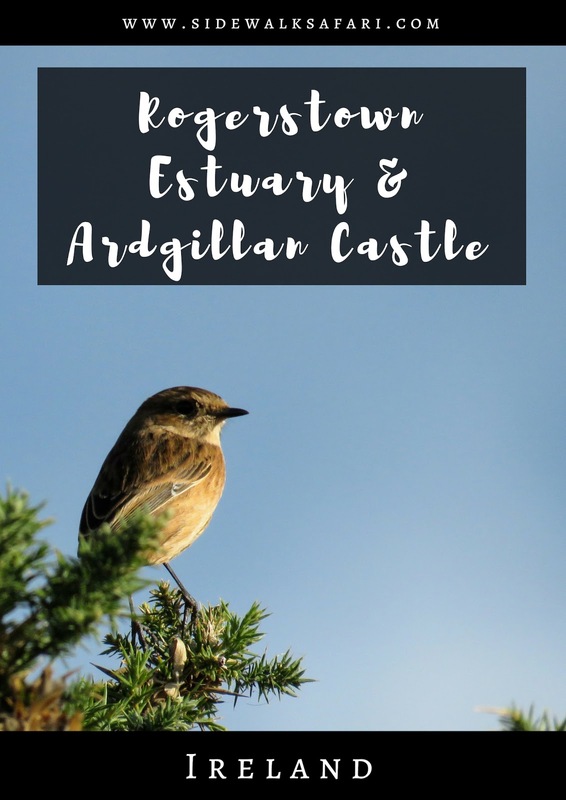 Hire a GoCar and drive from Dublin to Rogerstown Estuary, Rogerstown Estuary to Ardgillan Castle, and then return from Ardgillan Castle to Dublin.